What's the difference between City and Country rugs? City rugs began being made around 1,500 A.D. during the Golden Age of Persian art when master designers sketched and laid out patterns for the craftsmen to follow. These rugs are made in major cities; thus the name. 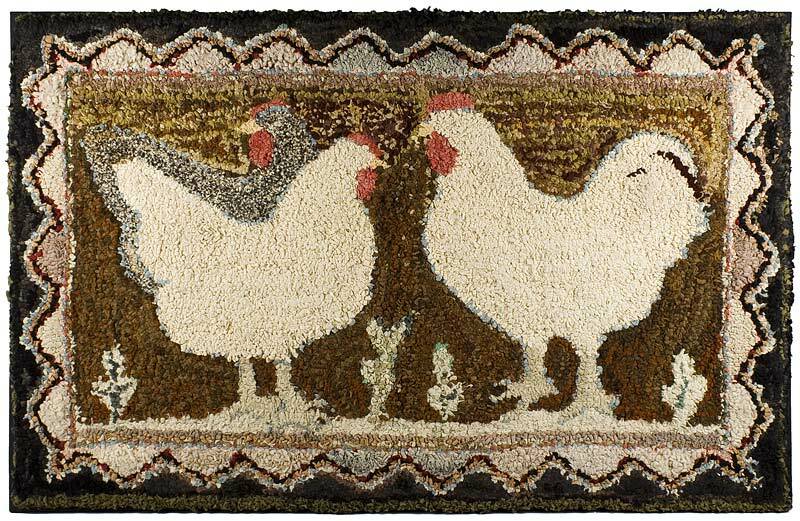 Tribal-style rugs began thousands of years ago. They are made in the villages by people who do not use patterns but, instead, rely on design ideas they have memorized and pass on from generation to generation by the making of the rugs. City rugs are often more self-conscious rugs: the weaver is making the rug to sell, and so chooses colors and design not so much on the basis of what is traditional, but on what is likely to sell in the market. City rugs are often the product of very specialized labor. Whereas the country weaver might build the loom, prepare and dye the wool, decide on the design, and weave and wash the rug, these functions are usually performed by different people in the city. Often there is an entrepreneur who hires designers, graph makers, dyers, weavers, and washers to make especially high quality carpets, rugs which would take too long to weave and involve too much investment for a weaver working all alone. These City rugs are often very tightly knotted with very intricate patterns of many colors (more than ten). There is a linkage between the number of knots per sq. in. in the rug and the thickness of the pile: if a rug is very tightly knotted with an intricate design, the weaver usually clips the nap short so that the design renders with maximum clarity. 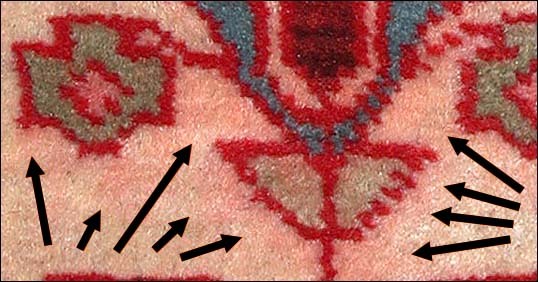 Fine City rugs are often closely clipped. 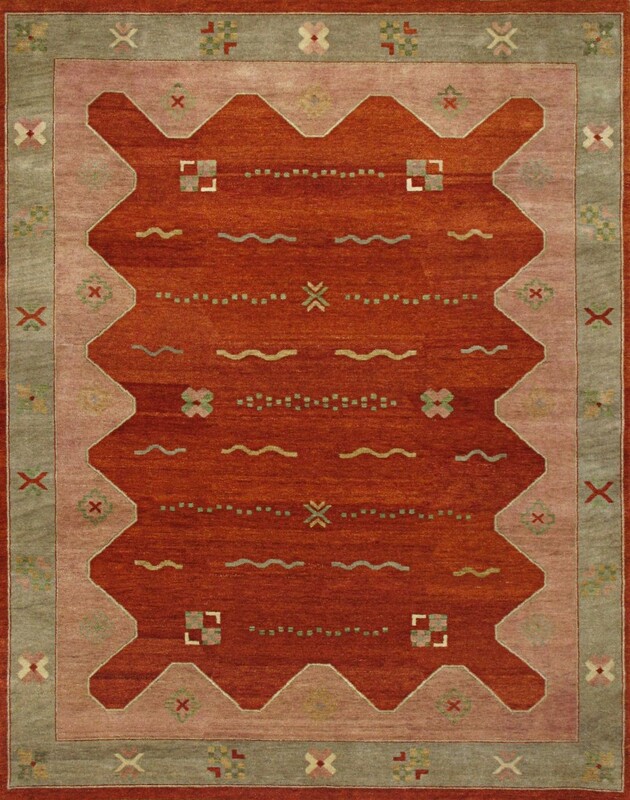 Country (sometimes referred to as Tribal) rugs are often less tightly knotted than city rugs. Typically, their designs are more simply drawn, and are often bold and geometric. Country rugs are usually woven of locally available materials. Many weavers, for instance, use cotton for the warp and weft of the rugs they make (cotton is less elastic than wool, and it is easier to weave a straight and flat carpet on cotton foundation). Semi-nomadic pastoralists like some Balouch and Afghans, however, use wool for their warp and weft because they do not produce cotton themselves. Country rugs often use fewer colors (five or six) than city rugs, and some country rugs still use vegetable dyes like madder and indigo. What age classification is given to rugs? The older the rug is generally the higher the retail value. How long does it take a person to make a Persian rug? All authentic Persian rugs are handmade; none are machine made. For a small 3′ x 5′ rug, it might take a person several months to make that rug. Medium-sized rugs (5′ x 8′) can take a person or people up to a year to complete. Very large rugs (10′ x 20′) might take a group of people years to finish it, and larger silk rugs, which often have up to 1,000 knots or more per square inch, can take a person a lifetime to complete. Now you know why authentic handmade rugs are considerably more expensive than machine-made ones. 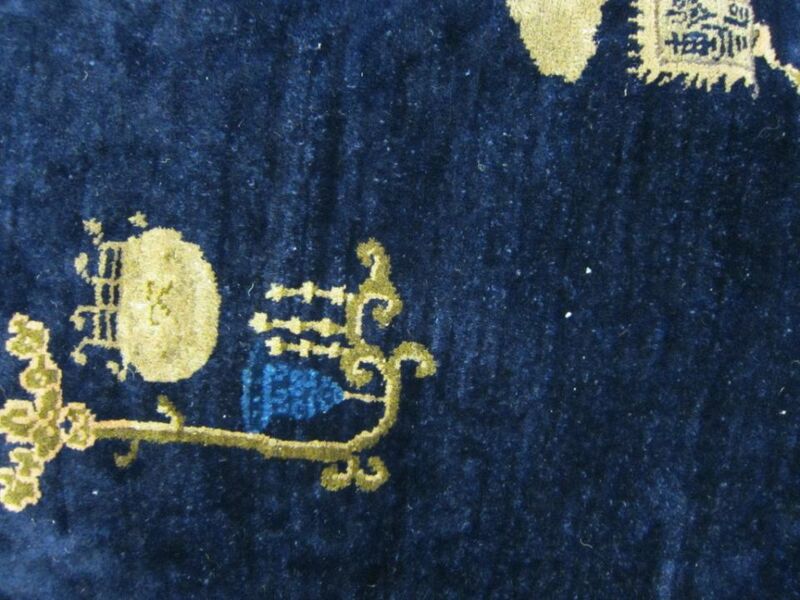 What is the function of the fringes on an Oriental rug? The fringes on a rug are the ends of the warp threads that run vertically from one end of the rug to the other thus forming the structure of the rug. They are knotted as the rug is completed to prevent the warp and weft from unraveling. Fringe is also a decorative element of the rug. What is meant by the dark side and light side of a rug? Do I need to put a pad under my rug? While a carpet pad is not necessary to protect the flooring from the area rug, carpet padding will add life to your Oriental rug by supplying a cushion in which to absorb stress and continual foot traffic. Carpet padding will also prevent area rugs from slipping, help the rug keep its shape and wear more evenly and will add a softer feel when stepping on the rug. 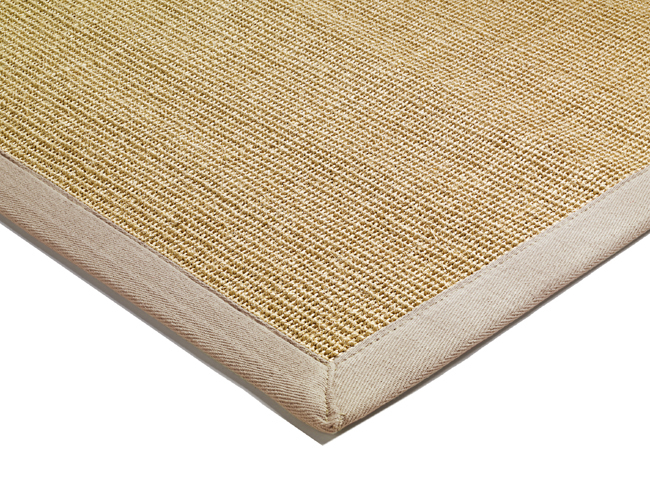 A properly sized professional pad will extend the life and beauty of your treasured area rug. Some colors have varying shades in handmade rugs, especially in tribal pieces. This is referred to as ‘abrash’, and there are many factors that determine exactly what shade the colors of the finished product will have. The quality of the wool, and where and when the dyes were made, are the main ones. A tribal rug may take several months to weave, and the wool used in one part of the rug might be dyed six months earlier than the rest, due to the nomadic habits of the weavers. The natural dyes usually used in tribal pieces tend to fade over time into slightly softer tones. Color variation is very rare in fine city carpets. It is also important to know that most carpets have a pile which lays in one direction. This might cause the rug to have a dark side and a light side. Looking into the pile the rug will appear darker; against the pile, the rug will appear lighter. This can be used to great advantage in fine-tuning the decoration of a room. It is a common belief among Persians that only God creates perfection. 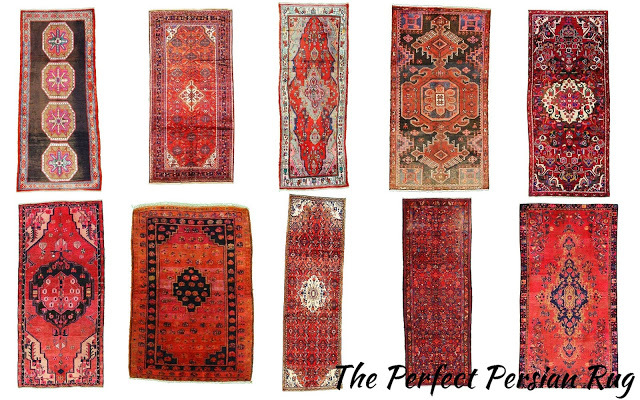 It is therefore common that slight imperfections can be found in Persian rugs. Usually, these can be seen as perhaps an extra flower or one flower being of a different color than the rest. However, most variation is seen in tribal pieces. Although not always intentional, it is due to the fact that country and Tribal weavers operate differently from city weavers. Looms used in rural areas are usually very simple horizontal looms placed on the floor, making it more difficult to weave a perfectly symmetrical rug. Country or Tribal weavers migrate seasonally and slight imperfections are caused by temperature changes and the dismantling and re-assembly of their simple looms. A genuine handmade rug with slight imperfections adds to the authenticity of the rug and do not distract from its value or beauty. How can I determine the quality of an Oriental Rug? Tightness of weave – the more tightly the weave the more wool was used in making it. More knots per square inch can indicate high quality. 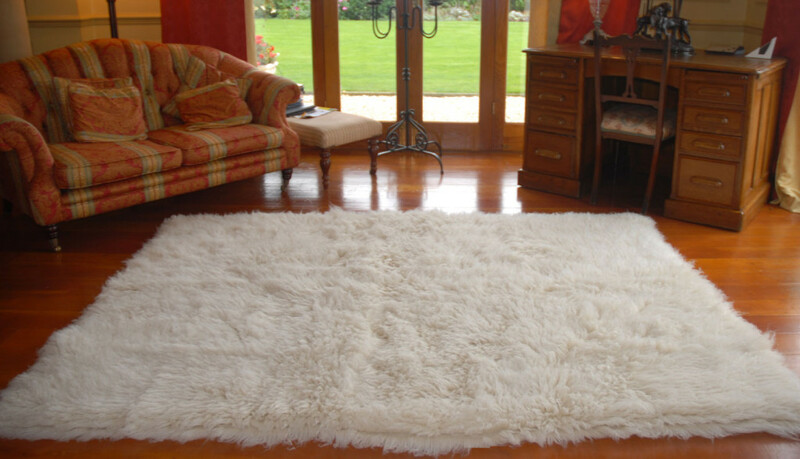 Quality of wool – this is an important factor in the appearance, durability, and value of a rug. The more natural lanolin in the wool the longer it will last. A rug should not feel dry to the touch, nor should it color run or shed. Density of pile – push your finger into the pile of the rug the denser the rug is the more durable it will be. What are the differences between hand-knotted rugs, hand-made rugs, tufted rugs, and machine-made rugs? Hand-knotted rugs, be it contemporary design or more traditional type, are the only true Oriental rugs. Industry standards insist that for a product to be labeled as hand-knotted it must actually be knotted by hand. 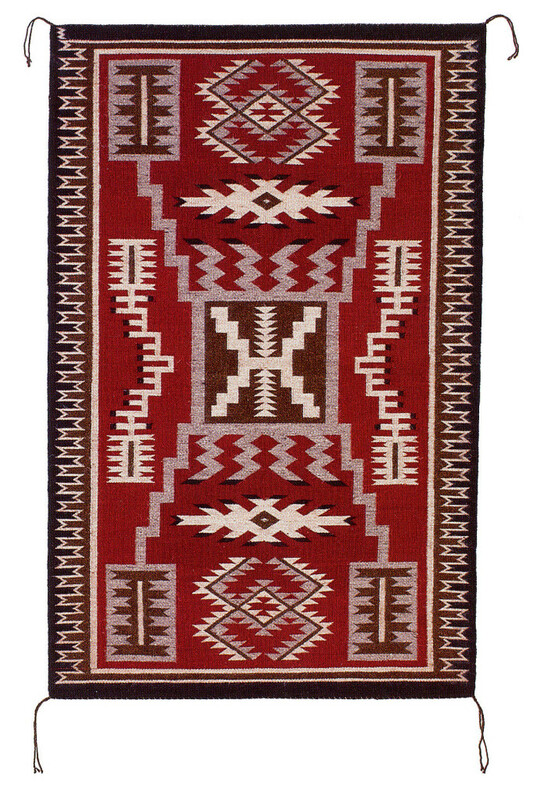 Many other rugs are labeled and advertised as hand-made or hand-tufted, including hooked and needlepoint rugs. Tufted rugs can be made by hand or machine. The pile yarns are punched into a fabric (usually cotton), the face pile is clipped and a cotton material covers the back of the tufted rug to hide imperfections and the glue applied to hold the pile yarns in place. Machine-made rugs, as the name suggests, are made by machine – not by hand. Should I accept noticeable 'flaws' in a hand-made rug? 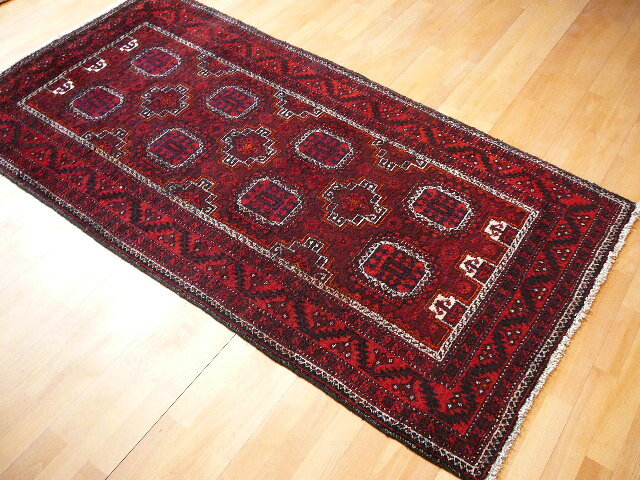 As with any other hand-made item, hand-knotted rugs are sometimes less than precise and this may add to their appeal. However, what may be a tolerable imperfection to one person may be unacceptable to another. For example, one rug may have crooked edges, white knots, freckles or contain areas of abrash. These conditions are not necessarily “flaws”, and what may be considered a flaw in one type of rug may be considered characteristic of a different type of rug. Only you can determine whether a rug will be suitable for your home, given any minor imperfections that may exist. Why are the fringes of my Oriental rug falling apart? 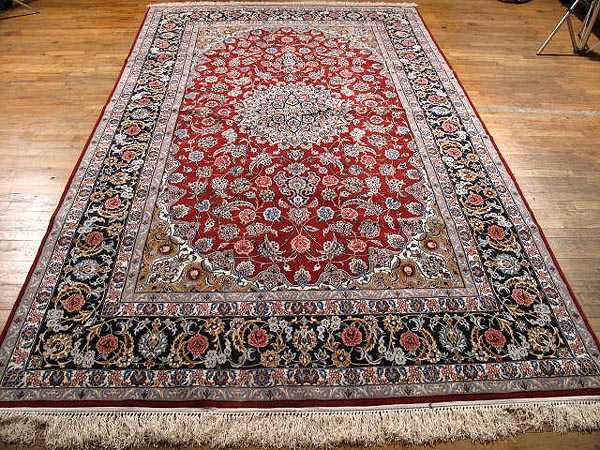 Owners of hand-knotted Oriental rugs often ask why the fringes of their rugs begin to easily pull away. Most often, this occurs due to normal foot traffic and vacuuming. The fringes on hand-knotted rugs are an extension of the foundation warp yarns of the rug. Because the fringes lie directly on the floor they are not protected from foot impact and abrasion like the pile of the rug. 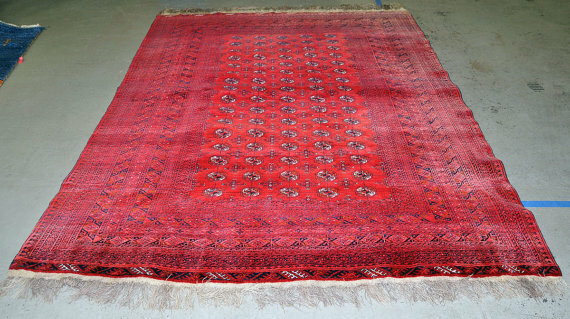 Also, a common practice with many modern Oriental rugs is the “chemical washing” of the rug after weaving is completed. The rugs are saturated with a chlorine bleach solution to mute the colors and/or give the wool a shiny appearance. The rug is then rinsed with an acid solution to prevent yellowing. This procedure is repeated several times until the desired effect is achieved. This process does some limited damage to the wool pile but has a harsher effect on the fringe, actually weakening the fiber. This pre-existing fringe damage is often not noticed until after the rug has been professionally cleaned and pieces of fringe are noticeably absent. Prior to cleaning, a build-up of soils can act like an adhesive to hold broken pieces of the fringe in place until the cleaning process removes the sticky soil residue. The small, broken fibers are then free to slide apart and the fringe sheds rapidly. If you gently tug on the fringes of your rug before cleaning, you may find the fiber comes apart easily. At this point, the only remedy is to replace the weakened fringe fiber by weaving in new, untreated and undamaged fringe yarn. When you have a rug repair concern, call us for a free repair evaluation. What is the difference between a Persian rug and a 'Persian design' rug? A true Persian rug is a hand-knotted rug made in Iran. A Persian design rug may be hand-knotted, although it could also be machine-made. 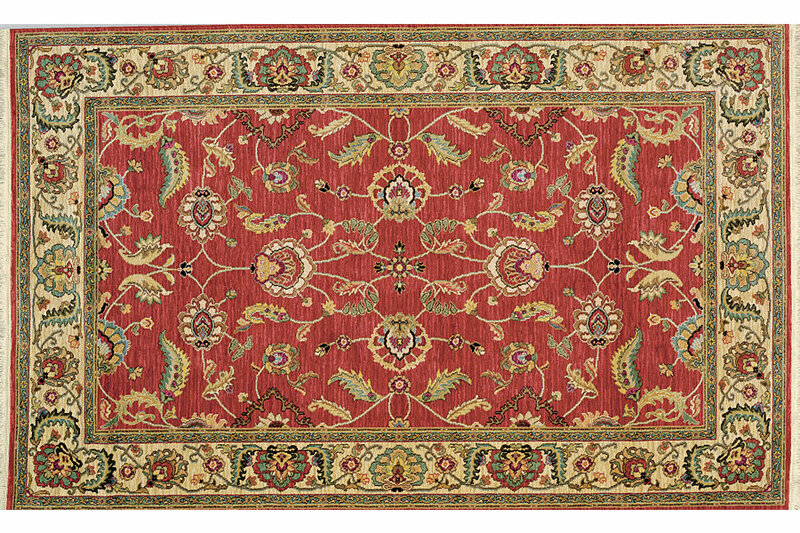 In addition, it can be made in any rug-producing country, using a pattern that once originated in Persia (Iran). 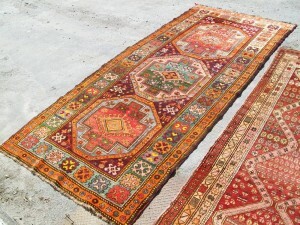 What is the difference between hand knotted and handmade rugs? All ‘hand knotted’ rugs are ‘handmade’. All ‘hand-made’ rugs are not necessarily ‘hand knotted’, like Killims and Soumacs. Industry standards insist that for a product to be labeled as ‘hand knotted’ it must actually be knotted by hand. Many other rugs are labeled and advertised as ‘handmade’ but are most often manufactured by tufting yarn into a machine woven backing with a hand-held tufting machine. Are your cleaning technicians certified? Absolutely! Our technicians are certified by the Institute of Inspection, Cleaning and Restoration Certification (IICRC), Wools of New Zealand and The Carpet & Rug Institute. In addition, we serve as consultants to a wide range of industries including insurance, floor covering specialists, interior designers, carpet cleaning companies, attorney’s and contractors. What is the best method to clean my Oriental rug? Just as there are many ways to clean clothing, there are many ways to clean Oriental, wool and silk area rugs. Cleaning methods vary in their advantages and disadvantages, but the key to superior cleaning results lies in the skill and commitment of the cleaning technician. The cleaning method selected will be dependent on several factors including the construction of the rug (handmade, tufted, machine made, etc. ), the type and degree of soiling, the reason for cleaning and if the area rug has been contaminated with pet urine or contains stains or insect damage. The most important thing a rug owner can do to protect the value and beauty of their Oriental rug is to select a cleaning company based on experience, certifications and make sure the company specializes in Oriental rug cleaning and repairs and NOTHING else. Too many carpet cleaning companies attempt to clean Oriental, wool and silk rugs without the skill or knowledge and end up shrinking them, causing the colors to bleed or flat out ruining them. How often should your rug be cleaned? Under normal wear, we suggest cleaning your rug every 2-3 years depending on the color of the rug, if any spills are present and the amount of traffic it receives. If you have pets or unusually high traffic a cleaning every year would be ideal. How long does it take to clean a rug? It takes approximately 7-10 days to do the normal cleaning process. Repairs and extra cleaning take more time. Dog & cat urine removal and odor treatments may take longer. Aren’t all rug cleaning companies basically the same? NO! Proper rug cleaning is a craft that involves not only a great deal of specialized training but industry-specific certification, a lot of physical labor, a genuine love of Oriental rugs and experience. Low price cleaners are a HUGE warning sign, because they are a sign of untrained people, using cheap cleaning chemicals, which means a very high likelihood of your rug being damaged. Even if your rug is a “cheap” one and you do not want to invest in a good cleaning, you are better off replacing the rug with a new “clean” one than having a partially cleaned, chemically-laden rug given back to you by a low price budget cleaner. On a day to day basis, we see carpet cleaning companies offering “Oriental rug cleaning” to their clients. Many of these companies do not own a rug cleaning plant and choose to clean client’s valuable rugs in a back parking lot using non-certified technicians, cheap cleaning solutions, and a water hose. Sadly, the results often speak for themselves and clients are left with damaged rugs and an “I don’t know what happened” from the carpet cleaner. You should NEVER allow a carpet cleaning company cleaning to clean your rug at your home. Oriental, wool and silk rugs require hand washing, a thorough dusting that cannot be accomplished in a customer’s home, specialized cleaning solutions; pH conditioned rinses and controlled drying. The correct way to clean an Oriental rug can only be accomplished at a rug cleaning plant under exacting conditions at the hands of experienced technicians. 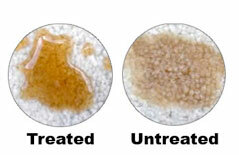 If a stain has not affected the fibers permanently, we have a much higher chance of removing it. If a stain has damaged the fibers permanently we may be able to apply color correction techniques to hide the damage. That is a personal decision depending on your emotional attachment, if any, to the rug and the replacement value of the rug. Many people design a whole room around their Oriental rug and replacing it could require refurnishing the entire room. In many instances, once the area rug has been cleaned our clients have answered a resounding YES and were happy they went through with the cleaning. We will be happy to give you a professional estimate for cleaning to help you make an informed decision. The tag on my rug says dry clean only… Is your method safe? There are many factors to consider when professionally cleaning an Oriental rug. We inspect your rug carefully to determine what method is safe to use. Our area rug cleaning technicians are trained, experienced and certified to handle your investment properly. We offer all forms of rug cleaning, including dry cleaning. Although we can remove all the urine, pet waste and associated odor from the rug by cleaning it thoroughly, the stain and odor may still be present of the acids in the urine or waste were allowed to damage the rug’s fibers. In most instances, our thoroughly exhaustive rug cleaning followed up with a specialized pet urine and odor treatment remove all stains and odor as if the accident never happened. We use a proprietary ten-step process that we have perfected to make sure we fit the cleaning method to the fibers, dyes and other specificities of your rug. Our cleaning processes exceed all requirements of the IICRC, The Carpet & Rug Institute, and all major carpet and rug manufacturers. Possibly. It really depends on the extent of the damage and if the carpet fibers have dry rotted. Another concern would be with the water and dampness from the leaky pot potentially causing the foundation of the rug to become brittle. Please give us a call so we can evaluate your rug. If the rug is not dried properly and completely, the cotton foundation may become weak and rot as a result. Mold and bacteria may also thrive in such a damp environment. Do NOT allow a carpet cleaning or water restoration company clean or treat your treasured rug. Rugs that have been exposed to flooding require specialized cleaning to ensure no mold or bacteria is left on the rug. Also, the rug needs to be dried in a controlled environment and receive the appropriate grooming and attention to detail before going back home. It is best to have the area rug professionally cleaned and dried by experts. In Florida, you have the right to choose who you want to clean your Oriental, wool and silk rug and you do not have to go with an inexperienced company your insurance company chooses. We have been highly successful in removing soot and fire odor in most cases. However, we cannot guarantee 100% success every time due to the extent of the damage caused by the fire, the amount of time the rug was under water, etc. If we can’t remove the soot and odor, no one can. Yes. 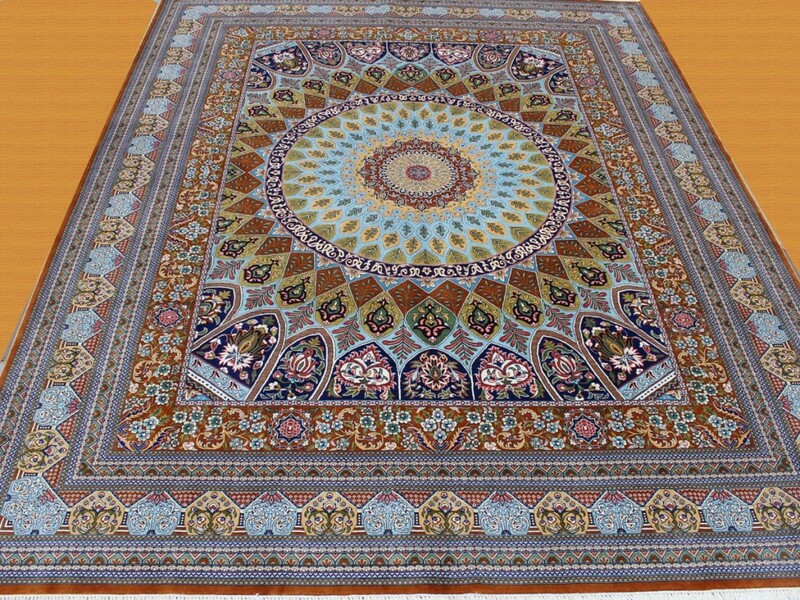 Silk rugs are lovely tightly woven and elaborately detailed works of art. We also clean wool rugs with silk highlights. What is fiber, protector? How will it help my area rug? Fiber protector retards soiling and helps prevent stains from becoming permanent. Fiber protector also prevents dirt and other abrasive soils from sticking to the fibers of your rug thereby allowing a deep clean each time you vacuum your rug. It is child and pet safe, allergen-free and non-toxic. As an added bonus, it has a naturally fresh scent. My pet has had an accident on my Oriental rug. Can you clean and treat this? Most of us at Oriental Rug Salon own pets too, so we understand better than most the treatment necessary to eliminate the “accident” along with the associated odor. The best method to remove the odor, bacteria and urine salts is by introducing live enzymes to the affected areas and then an immersion cleaning in our rug bath. It is these crystals and salts that cause the ammonia-like odor that makes this the most difficult component to correct. These acidic crystals can also cause permanent dye damage, color loss and cause the fibers to rot. While we have been extremely successful in restoring most rugs, other factors for a successful treatment come into play, such as your pets diet, age, weight, health, the frequency of urination or marking its territory and if the owner of the rug has relied on “self-help” to clean the damage themselves. Even the best-trained pet will have an accident on your area rug. It’s easy to overlook these little mishaps because of the unconditional love and companionship we get in return. So the next time your best friend has an accident on your favorite rug, give us a call for a deep rug cleaning – we’ll get your rug smelling clean again and get your buddy out of the doghouse! When some rugs are washed during the cleaning process, the dyes may weaken and bleed. There are many causes of dye bleeding in rugs. Some of them, such as defective dyes and dying methods and after-market “painting” may not be apparent at the time of purchase. Other causes of bleeding dyes are pet urine, sunlight, certain fumes, and common chemicals and over-the-counter spot removers. Is it common for the latex on the back of a rug to deteriorate? Latex is an adhesive that anchors tufts to the primary backing, adds dimensional stability, and attaches a secondary backing to the rug. Latex will commonly break down due to things like gases in the air, floor waxes, pet urine contamination, traffic, and sunlight. This deterioration will appear as bubbles, powdery residue, or backing separation. 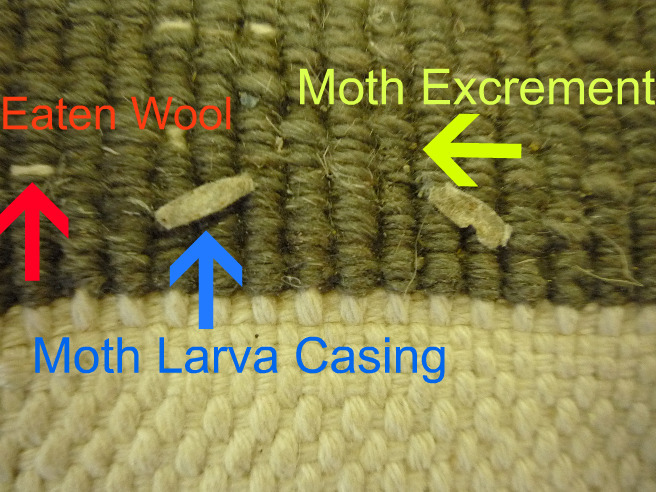 From a rug cleaner’s perspective, pet urine is the number one cause of latex deterioration in tufted rugs. Once pet urine is deposited on a rug containing latex, the uric acids immediately begin to break down the glue thereby separating the backing of the rug from the glued areas. For a rug cleaner to effectively treat a tufted rug with pet urine contamination, the rug has to be submerged in a solution of enzymes. 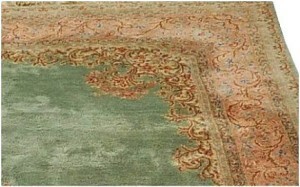 The total submersion of a contaminated rug coupled with the deterioration of the backing as a result of pet urine can cause the clothed portion of the rug to become loose. There’s nothing a rug cleaner can do to stop this process and contaminated tufted rugs are cleaned only when the customer holds us not responsible for the loosening of the back fabric. Why do little white knots appear on the surface of a rug after cleaning? 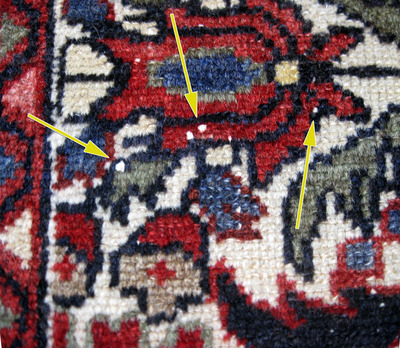 White knots are caused by breaks in a rug’s foundation when it is still on the loom. The breaks are spliced together by tying two knots at each end of the break. When the rug is new, the full length of the pile can obscure these white knots. Eventually, foot traffic, as well as a thorough cleaning, will reveal these knots. They should never be cut, as it would create a weakness in the rug’s foundation. These white knots create character; prove the rug was handmade and are referred to as “freckles” in the rug cleaning trade. Rotating your rug extends their lifetime and helps maintain their integrity. If you have a rug under your couch, and/or family room, you will eventually notice traffic patterns caused by over usage. By rotating your rug you give the “fresh” side a chance to share the burden. Rotating your rug is important for the rugs sake, beauty and health. Yes, and it’s FREE. We offer free pick-up and delivery for most area rugs to all of Lee, Charlotte and Collier County. Is my rug vulnerable to sun fading? Almost every interior textile will lighten in color or “fade” over a period of time. The extent of damage depends on the item’s location, exposure to light and elements, color, intensity, type of dyes and the dyeing method used. The sun (and other sources of light and fumes) may fade the colors of your specialty rug, especially if the rug is placed in an intensely bright location. To minimize this problem, prevent prolonged exposure to intense sunlight by keeping the windows covered or treating them with a protective coating that filters out the ultra-violet (UV) rays of sunlight. You may also wish to simply rotate your rug every three months. My furniture has left indentations on my rug, what can I do? From time to time, you may wish to move your area rugs to another room or simply rotate them so they’ll wear evenly. If furniture leaves indentations on your rug, all you need to do is spray the area with water and lift the crushed pile by brushing it upward. Be sure to end the brushing process in the nap direction of the rug. Use a brush with coarse bristles instead of a fine, sharp-bristled brush so the ends of the pile will be less likely to fray. What types of chemicals are used on my rugs? Our chemicals are biodegradable and 100% safe for both hand knotted and machine made knotted rugs. Our cleaning solutions are environmentally responsible, certified GREEN and have been approved by The New Zealand Wool Institute. Are you insured against loss or damage of my rug? Yes, we are fully insured and our technicians are trained and have years of experience. Rest assured your rugs are insured from the time they leave your house until we deliver them back to you.